We are successfully meeting the requirements of our clients by offering the best quality range of Turkish Semi Oushak Knotted Carpets. 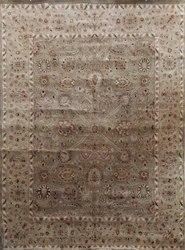 We are offering a wide range of oushak carpet. 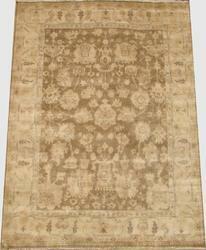 We offers array of Bergama Collection-en_sl-143_lt blue beige to our valuable clients. This collection is a blend of traditional and contemporary designs, which are specially designed by our experienced and creative professionals. We also offer customization services at reasonable prices. We are among the reputed organizations, highly engaged in providing an optimum quality range of Antique Turkish Oushak Knotted Carpets. Latest colours with attractive price.